I’ve just realised I’ve missed the fact that Alan Bott was born in Stoke-On-Trent on January 14th 120 years ago . I am putting together a page on his involvements with other publishing companies and not just PAN. He started “The Book Society” in 1929, “The Reprint Society” in 1939, “British Publishers Guild” in 1941, “Avalon Press” in 1945,”PAN” in 1945 and assisted in setting up “The Folio Society” in 1947. “PAN” and “Folio” are still going under their own names and “The Reprint Society” became “BCA – Books Clubs Associates” until it’s demise in 2008. I still have several other bits and pieces to add but wanted to link this with the birthday. Having accused some booksellers of incompetence I should add this can sometimes be to your advantage. 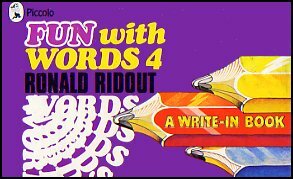 I picked up a copy of the Piccolo book “Fun With Words 2” by Ronald Ridout at a church booksale for next to nothing (I think it was fill a bag for a pound) This started me looking for the other 3 but I was surprised to find they were so scare with only two sellers listing them and then both having “Fun With Words 4” one asking £34 the other £35. One of the sellers had this same edition on eBay, Abebooks, Alibris and Amazon UK all with the price at £34. I just happened to look on Amazon USA and noticed it was there but for 34 cents – yes cents – so I bought it. I was quite expecting to get an email saying they hadn’t got it to get out of the transaction but it arrived today and for 34 cents! I have bought before off sellers on Amazon USA where they have the same price as Amazon UK but one is dollars the other pounds. You just have to watch the extra postage doesn’t outweigh the saving. Is it just me or are ‘booksellers’ get lazier/more incompetent relying on databases too much? For a long time I’ve realised a lot of sellers on eBay don’t really know what they are actually selling, just type in the title and the database will fill in the rest regardless of edition, date etc. On Abebooks I wouldn’t buy books with ‘stock photos’ without double checking but thought I was safe with ‘booksellers photo’ until the day I got what I wasn’t expecting. On contacting the seller he told me he hadn’t put up a scan so it must have been Abebooks automatically adding them and incorrectly in this case. On Amazon it seems to be the exception if the correct date and edition are even mentioned let alone the image being right. What brought on this moan? Well I recieved a book in the post from the States yesterday, excitedly opened it to find it certainly was not what I was expecting ie a very hard to find title in the Piccolo Picture Bafflers series. 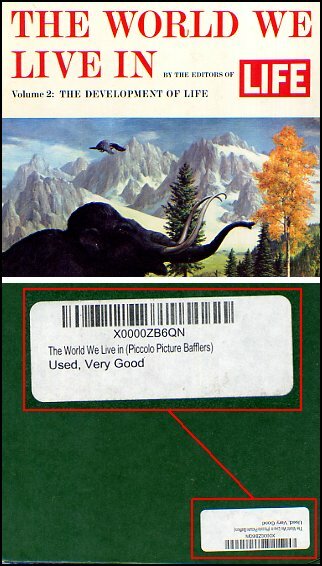 The label on the back was for the book I wanted as was the full description on Abebooks but I certainly do NOT want what I received – see below. To their credit the seller has given me a full refund of all costs but that is not really any consolation for not having the book. There must be something about Bafflers as I ordered two titles from another seller but they never arrived. When I asked where they were the seller said that all the books mailed that day ‘had gone missing’ and gave me a refund but again that is not consolation. What is a Flexiback Thermoplastic Binder? 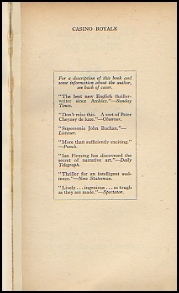 Just looking at a few booksellers online listings for PAN 335 “Casino Royale” and several include statements like “Front inner hinge professionally strengthened“,”Jacket discreetly and expertly reinforced at spine” and “Spine split fixed with tape” What they seemed to have missed is this opposite the first page. 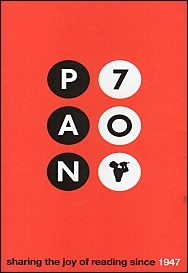 There were many titles published by PAN between 1955 and 1957 with this reinforcement which could be mistaken for a repair. 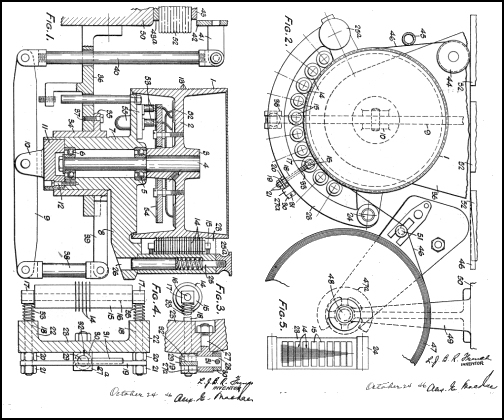 The Book Machinery Co. Ltd. had many patents including ones for roughening the spine before applying the glue which included a suction device to stop the small particles clogging the machine. The final stage was applying the calico tape. This is a translation from the German to explain the process. So now you know how it all works! X653 as all Bond/PAN fans know is “The Spy Who Loved Me” and up to now I’ve only seen English printings so I was pleased to find a 1967 Canadian printing by Ronalds-Federated Limited (which appears to still be in business based in Montreal) and published by PAN Books Ltd, 100 Lesmills Road, Don Mills, ON. 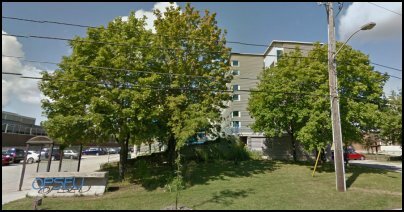 Thanks to Google I’ve located the address which is now occupied by OPSEU: Ontario Public Service Employees Union and I’ve emailed them to see if they know anything of the history of the premises so watch this space. STOP PRESS Just heard from OPSEU. An older building on their site was demolished and rebuilt in 1991 when the basement was also filled in. They are intrigued to hear of its link with PAN and have promised to investigate further. 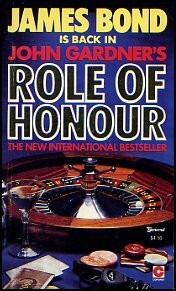 While looking up Don Mills I thought the name was familiar and searched out my Coronet 1985 copy of “Role Of Honour” printed by General Publishing which appears to be at 30, Lesmills Road, Don Mills, ON. Was this an area where publishers tended to congregate? Still finding bits of original artwork and this one seem appropriate for the occasion. 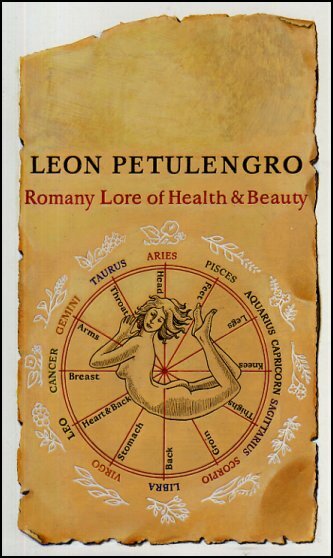 It is for the 1971 edition of “The Roots Of Health” by Leon Petulengro (0330 025635) The artwork itself, unfortunately not signed, is in excellent condition but the transparent has darkened considerably.